Thanks for visiting my e-portfolio! Hi, my name is Eric Rose. 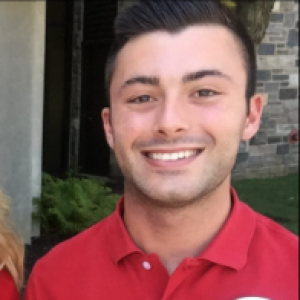 I am a senior Management Information Systems major at Temple University’s Fox School of Business. While my technical skills are improving each day in class, my real strengths and interests lie in leading and facilitating, critical thinking and problem solving. My main involvement on campus and within the MIS community is within the Association for Information Systems, Temple’s MIS student professional organization. The organization provides both networking and community service opportunities, professional development and many chances to improve your technology skills. 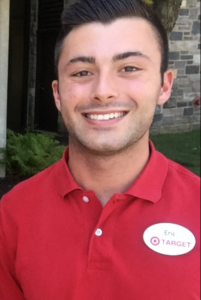 In my opportunity this past summer and Fall semester, I worked as a manager in-store at Target. Now in my second store, I have been exposed to a vast number of team members and other managers to build relationships with. Over the past 7 months, I have been able to improve my interpersonal skills, relationship building, and creativity. The extended internship that I am currently enrolled in is an amazing opportunity to continuously learn before starting full time.